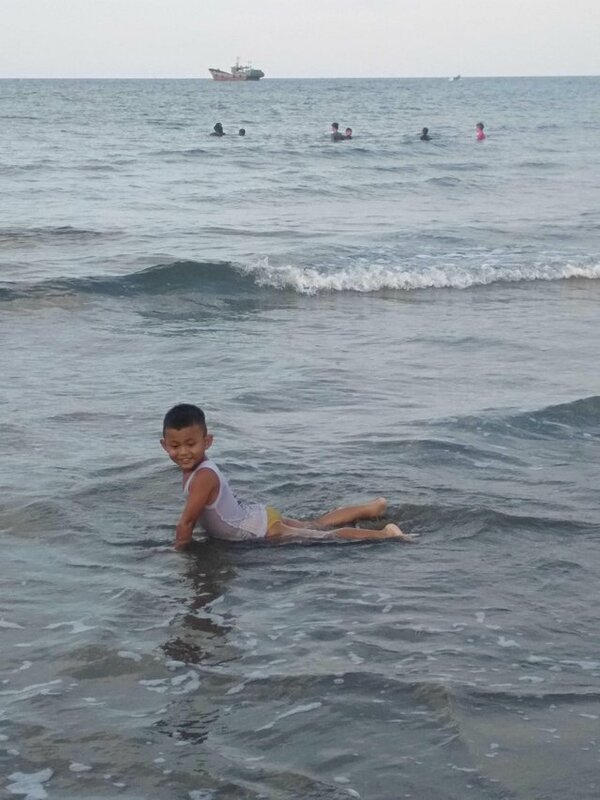 The beauty of the sea Krueng Geukueh. (Port) Pleasure is something that eliminates boredom, fatigue and stress. 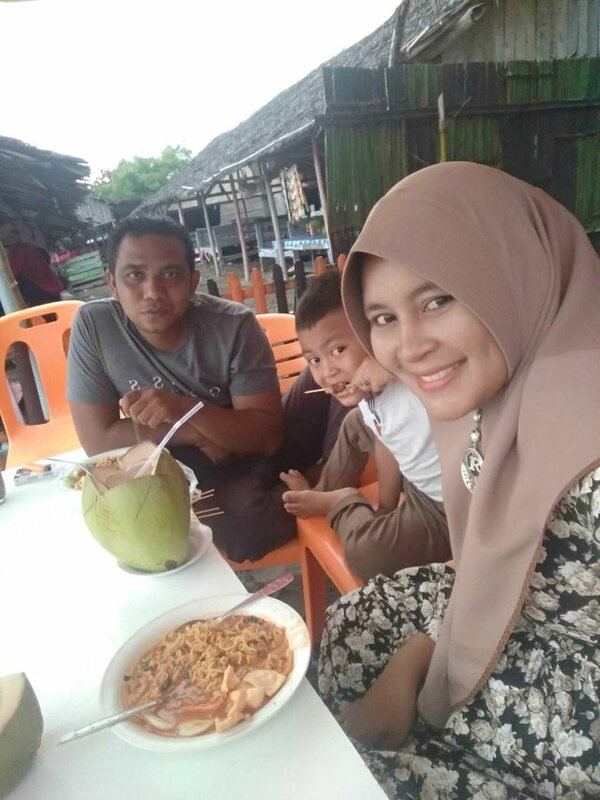 although not lasting but togetherness with the family while enjoying the beauty of the beach and a soothing atmosphere with a dish plate of fried noodles and young coconut. 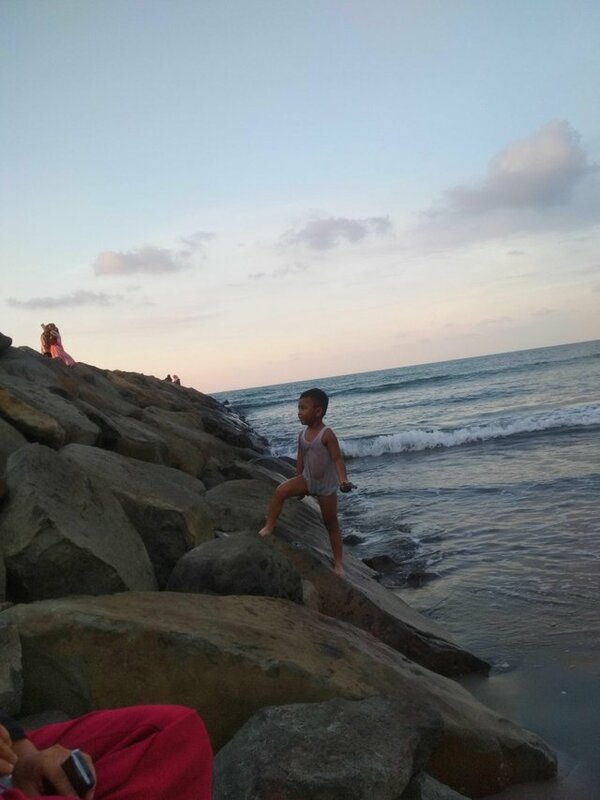 life to be enjoyed and in the struggle for happiness together. What a nice family and a different dish to the culture of my country. Regards!